Is your budget holding you back from getting quality commercial laundry machines for your facility? If so, you should consider purchasing Commercial Laundries’ refurbished commercial laundry equipment for sale. If you want durable, high efficiency machines to keep your business going in the right direction, our used commercial laundry equipment in Orlando is the perfect solution for you. We understand that your business depends on having durable machines that can hold up to the rigorous demands of constant daily use. Our pre- owned commercial laundry machines are thoroughly inspected to determine what parts need to be replaced. Then our mechanics begin to substitute faulty parts with top quality replacements that will bring our used machines up to the status of new machines. 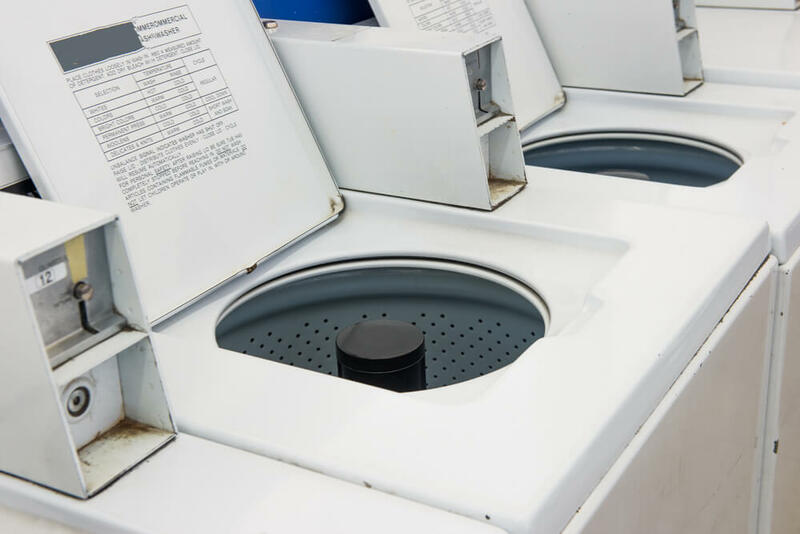 When you buy used commercial laundry machines in Orlando from us, you are getting durable, efficient, high performance, and cost-effective machines that will serve your laundry business well for many years to come. You don’t have to fret about a tight budget because we have affordable solutions to your business needs. You will find that our used commercial laundry equipment in Orlando is built to last. Our machines are built with solid construction and metal components instead of plastic. Plus, our commercial laundry machines boast stainless steel inner and outer washtubs, and state of the art baffles and tumblers. Most of our pre-owned commercial laundry machines have high RPM speed G-Force extraction, and rugged suspension systems. This equates to high performance that delivers a cleaner laundry outcome that your patrons will appreciate. All of our laundry products are Energy Star certified to provide you with high efficiency and cost-effective savings on water, gas and electric costs. The use of advanced technology enables our machines to operate using less water, thereby reducing water usage by about 30,000 gallons annually. You can see a reduction in wastewater by up to 50 percent, and a reduction in hot water usage by up to 30 percent. Energy Star commercial laundry products are also designed and built to use less utilities, reducing gas and electric costs. These great features result in lower operating costs and higher profit. Coin operated washers and dryers that have large capacity coin vaults built to withstand tampering and theft, and reject slugs and foreign money. Having digital display dashboards that offer multiple dispenser trays, cycle options and water temperature selections. Our card operated machines have new card technology that provides convenience and electronic transaction data storage and access. Our coin operated used commercial laundry equipment in Orlando is equipped with easy coin slide access. All of our used commercial laundry equipment in Orlando is guaranteed for your satisfaction and protection. Besides offering premium new and used laundry products, we also provide many valuable services that include delivery and installation of laundry equipment, removal and purchase of old machines, maintenance and repair services and contracts, and Utility Assessment Reports. We are a trusted leader in the commercial laundry sector in Florida, serving thousands of laundry facilities across the state. Our goal is to support our clients in operating a successful laundry business by providing them with the best laundry products and services. To buy used commercial laundry machines in Orlando, or learn more about us and our great products and services, contact Commercial Laundries Orlando today at 407-986-1410.